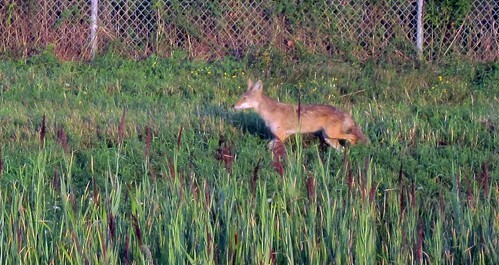 Here is a collection of Coyote photos from the Arden Hills Army Training Site. A coyote in search of food in Banff National Park. I watched her leap into the snow four times. Despite her best efforts, I never saw her come up with a meal for herself. She must do alright though - she looked quite well fed. I like the leap she does at 1:15, as she has better success breaking through the snow with that jump. Spring in Banff National Park. Meltwater in every nook and cranny swells the rivers and mountain lakes, so contributing to the circle of life. 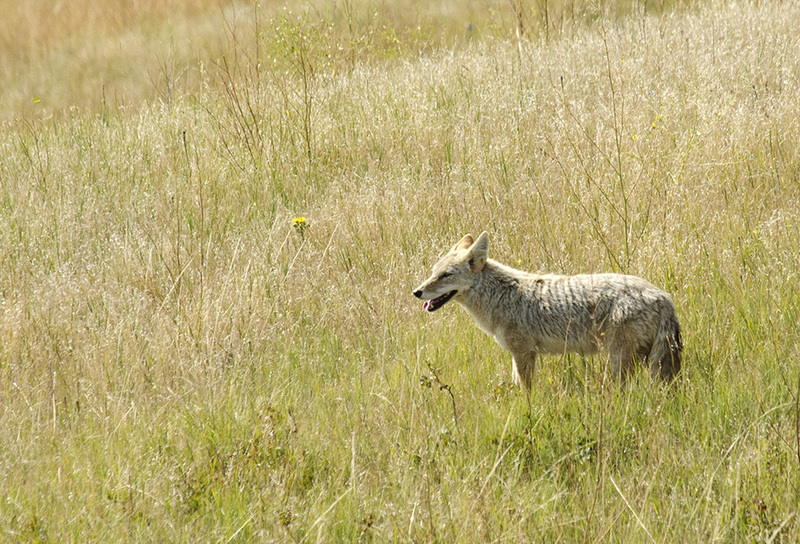 Down in the dales and valleys, the coyotes appear, hunting for ground squirrels. The coyote is often mistaken for the wolf, another inhabitant of these parts. But the coyote is at least a third smaller. Its behaviour is best characterised as a dog hunting like a cat. A solitary hunter, its prey consists primarily of small animals. They primarily hunt in pairs. 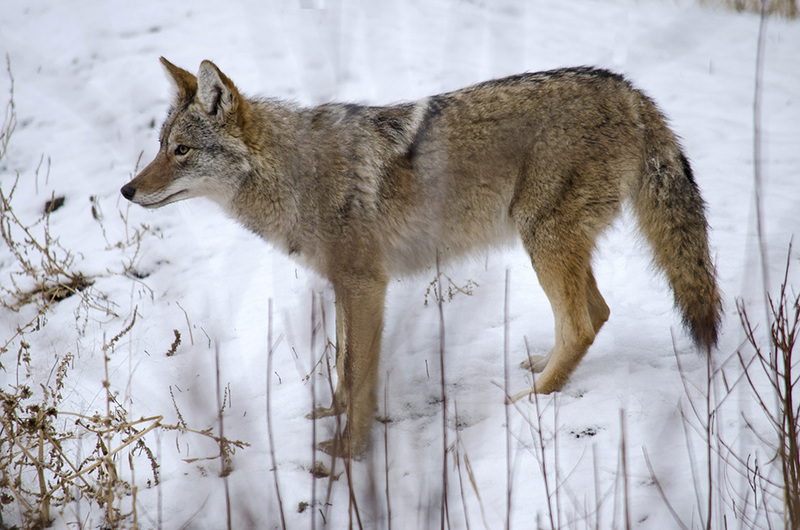 Coyotes, also referred to as barking dogs (Canis latrans, means "barking dog" in Latin) are primarily found near prairies. As man slowly wiped out the wolf, the coyote took its place. Coyotes are pure carnivores. 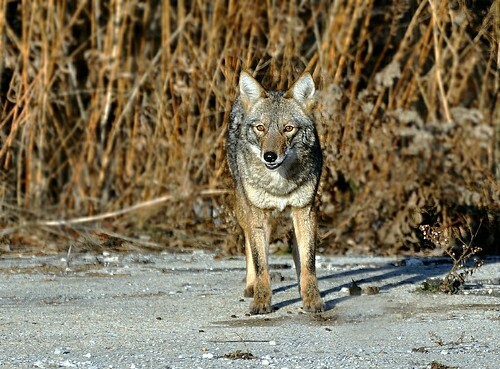 Nowadays the coyote can be found throughout North and Central America., from Alaska to Costa Rica and from the Atlantic to the Pacific. Check out this coyote. He was filmed @ 30 yds away, in wide open country. He was definetly not afraid of me! I took this footage with a 3x point-and-shoot camera while on a field trip for an Animal Behavior course I took as an undergraduate at North Dakota State University. We were in an observation blind on a greater prairie-chicken lek at the Buffalo River State Park and witnessed lek polygyny first hand. 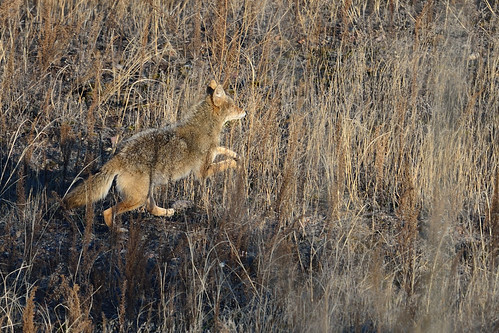 This coyote's failed attempts at getting close to any birds suggest that safety in numbers seems to be one of the benefits of this mating system. The behaviors of the male prairie-chickens are clearly driven by hormones as they continue to display with a large predator on the lek and then fly at the last second. The males instantly came back to the "hotspot" on the lek after the coyote got our scent and ran off!